The Morrowind expansion for ESO adds a whole new location to explore that should look familiar to Elder Scrolls fans. The massive island of Vvardenfell is home to many mysteries, including its own complex society that's very different from the rest of the fantasy locations you've explored so far in Tamriel. 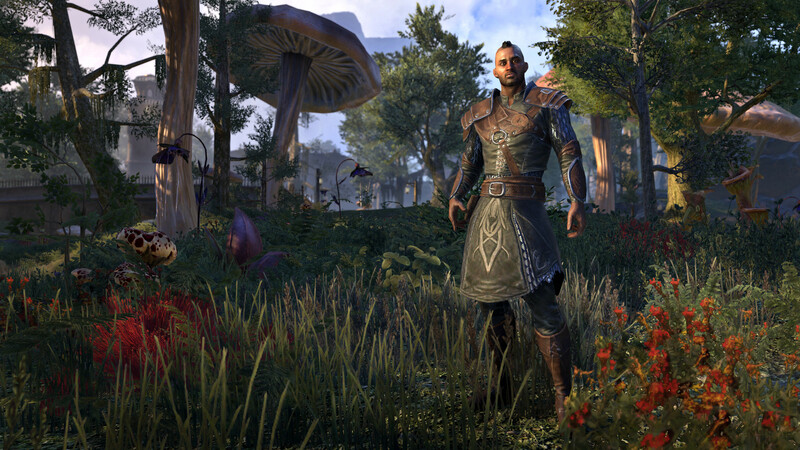 All of these tips will work outside of the Morrowind expansion, so if you haven't upgraded yet, you'll still be able to farm XP easily using these suggestions. There are plenty of ways to earn XP in ESO, so we're going to list the best ways from most advanced (fastest farms) to least advanced. Even if you haven't enter Morrowind, there's an amazing way to level up your Warden in the vanilla lands of ESO. Basically, this method allows any Warden to hit max level in hours. To start, go to Craglorn (a disputed zone) and teleport to the Skyreach Wayshrine to access the Skyreach Catacombs dungeon. This is one of the best dungeons to farm for XP -- use chat to find groups, or pay a tour guide to run you through the dungeons and power-level you for gold. As of right now, players are asking 1k-5k gold for that service. If this isn't your first character, you'll earn Champion points, making it totally possible to power through the Skyreach Catacombs dungeon alone. To grind Skyreach, don't bother fighting the bosses. The opening map area features a loop -- there's a both in the northern and southern rooms. Don't mess with the bosses, just circle the halls and grind down the regular enemies. Complete the loop, exit the dungeon, then re-enter and fight the enemies that have respawned. Whether you're with a group, solo, or with a tour guide, this is an amazing (and easy) way to fight tons of enemies without a lot of fuss. Skill points are the secret to your Warden's power. Unlocking passive skills will increase your power and make leveling up much easier -- passives stack up and slowly unlock your power, and you can earn skill points without actually leveling up. Completing dungeons is the easiest way to earn skill points. You'll get them for defeating dungeon bosses, completing Dolmen Dark Anchor points, or finishing main story quests. For every three skyshards you collect, you'll earn a skill point. Check the "Mods" download section in-game to get full skyshard maps for every zone. Note: You don't need a good build, special gear, or even a specific level to gain XP using Dolmen world events. Dolmen markers are all the ESO map, and they should be familiar to anyone. These are the Dark Anchors. Periodically, a world event will occur and summon a swarm of enemies to a single location. If you're new to ESO or Morrowind, there's an easy way to tell if a world event is incoming -- see if there's a large group of players waiting nearby. Often, you'll get a group invite just for showing up. Get into a group -- it doesn't need to be big, you'll get more XP for joining small and effective groups anyway. If you're grouped, continue to do Dolmens -- teleport to the nearest warp stone and follow the schedule. Often, if you join a group, they'll lead you to the next Dolmen event. If this is your first trip into the vast world of ESO, the best way to earn XP is also the simplest -- just complete story quests, talk to everyone in each town, and join the Guilds for even more extra work. Completing the story offers plenty of benefits -- you'll get waypoints and jobs to visit all the major locations for your faction, and completing the main story unlocks the other faction starting cities, letting you fully explore the world. The main story quests appear at about every 5 levels, and start with "The Harborage" -- completing these quests give a pretty big XP boost, and they're all balanced for solo play.